Home Uncategorized Let’s Celebrate 5000 Fans with Maman Loup’s Den! 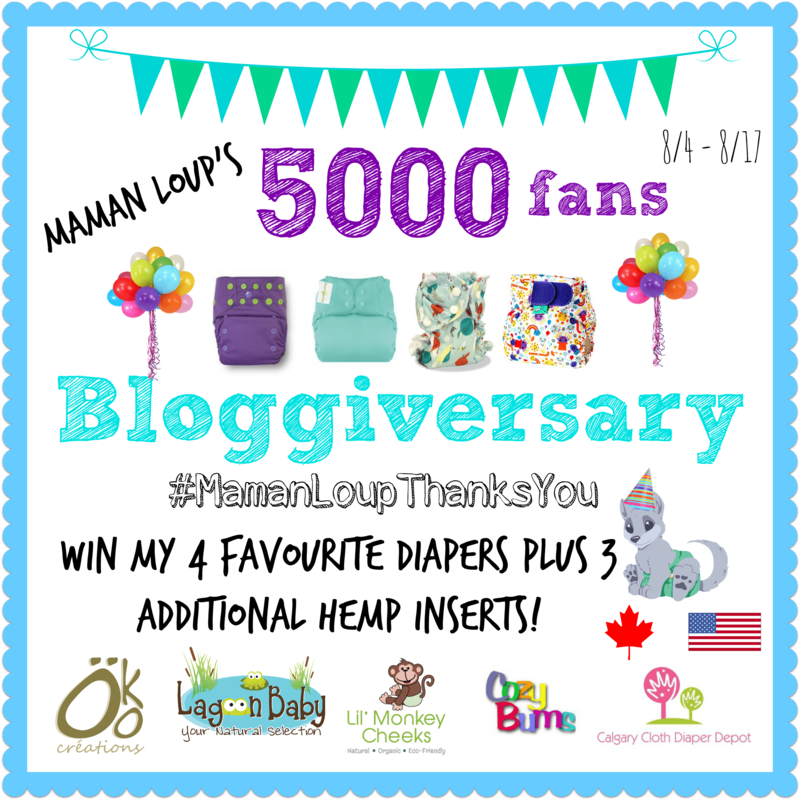 Let’s Celebrate 5000 Fans with Maman Loup’s Den! I am super excited to help Lindsay at Maman Loup’s Den celebrate her 1-year Bloggiversary and her 5000 Facebook fans milestone! One (1) TotsBots EasyFit V.4 in Incy Wincy from Lagoon Baby. For even more chances to win sweet prizes and take advantage of limited-time coupon codes, make sure you RSVP to the #MamanLoupThanksYou Facebook Event! Giveaway is open to Canada and the US, 18+. See Rafflecopter for full Terms & Conditions. A Look at My Potty Training Kit – Is Your Little One Ready?